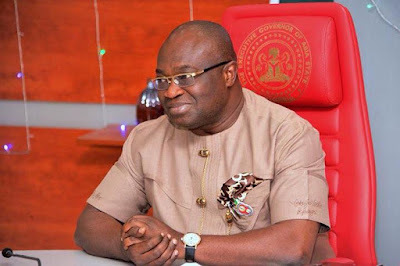 Abia State governor, Dr Okezie Ikpeazu’s problem started during the party primary that produced him as the flag bearer of the People’s Democratic Party (PDP) for the 2015 general elections. Some ethnocentric politicians, who believe in the supremacy of their ethnic group over numerous other groups in the state, shunned the Abia State Charter of Equity and the PDP zoning formula which guarantees a rotation of governorship seat among the three senatorial districts. For 2015 elections, the Ukwa-Ngwa people of the state were favoured. It was the first time in the history of the state. 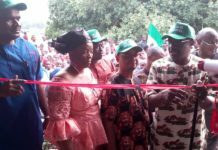 The zoning formula of the PDP is a path that charts a peaceful co-existence among the different interest groups within the state and the PDP party. 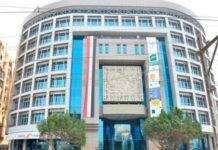 For the sake of equity and justice, it should be morally binding on Abians. 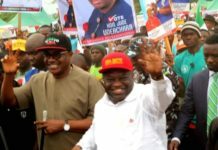 At the state PDP primaries last year, though Okezie Ikpeazu from the Ukwa- Ngwa fraction emerged as the party’s flag bearer, the voice and choice of party members did not assuage the inordinate ambition of some of these principalities who looked for other means to force themselves on the people and thwart their collective will. 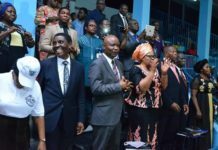 The election came and again, Ikpeazu emerged through the ballot box and yet, there was no respite for him as the principalities were bent on distracting God’s anointed through a prolonged legal battle. During the court cases, the Electoral Tribunal recognised the people as the sovereign and so upheld the election of Ikpeazu, but while men slept, “his enemy came and sowed tares among the wheat, and went his way”, thus resulting in the subversion of justice and the disenfranchisement of some local government areas in the state through the Appeal Court verdict that ousted Ikpeazu. But the Supreme Court set aside the appellate court judgement and upheld Ikpeazu’s election. 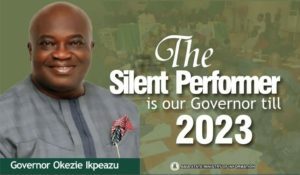 Ikpeazu’s thinking that his problems are over in a thanks giving speech declared “let no one trouble me” in his characteristic quotation and dependence on the word of God as a practical Christian in his speeches and lifestyle. Yet, the trouble and distractions are far from being over. 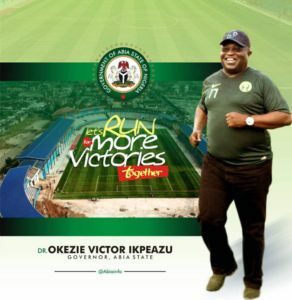 The recent court verdict of an Abuja High Court that ordered that Governor Ikpeazu vacate his seat for Uche Oga, who was thoroughly beaten in the PDP primary, on the ground of alleged falsification of tax receipts is another distraction for the hard working Governor Ikpeazu. I will leave the argument for and against the merit of the High Court ruling for Ikpeazu and Oga’s lawyers and other legal gurus in the country to do justice to. But in my lay man’s opinion, any ruling that subverts the will of the people is a judgement and not justice, and as such it will never stand the test of time. 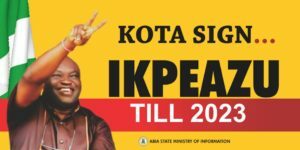 Ikpeazu’s detractors know that he has demystified and redefined governance and we the people of Abia understand his vision and his philosophy of “Okezuo Abia”, which simple means equity and justice in the state. The hash tag “IstandwithOkezieIkpeazu” has resurfaced online and social media and I foresee a repetition of history as the ultimate power belongs to the people and cannot be hijacked through the back door. 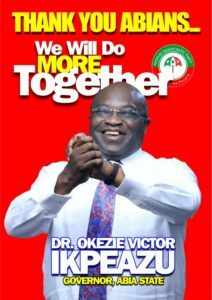 Indeed, Ikpeazu has taken the tide at the flood by laying solid foundations for a new political culture in Abia State. He has 65 road undergoing construction works, out of which 27 have been dully commissioned. 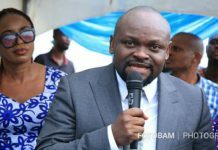 He is now the chief marketer of Made in Aba products and he is currently carrying out different developmental projects in all the wards in the state and in each of the senatorial districts, while revolutionizing agriculture, trade and commerce, industry and tourism sectors for a viable economy in the state. He is embarking on projects that affect the lives of Abians directly. He has fulfilled his promise to Abians and has justified the mandate Abians freely gave him. Politics is about the people’s choice and if we must practice democracy, we must always succumb to the people’s choice and also be progressive minded. 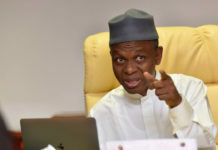 The likes of Uche Oga no matter how valid he feel his case is appears to me as a sour loser who wants power through judicial and political machinations rather than surrendering to the people’s will and embracing the spirit of sportsmanship in politics by accepting defeat with honour like formal President Jonathan. Rather than strive to becoming a statesman and work with the governor, he chose to pitch his tent against his people. There is so much ethnic and tribe sentiment that some principles of governance like the Abia Charter of Equity and the PDP zoning formula are steps to ensure equity and peaceful co-existence. A usurpation of such charter by individuals of dishonourable repute, who do not have regard for a solution that guarantees peaceful co-existence, must be discouraged. If we continue to disregard the Abia Charter of Equity, we will be like the proverbial man who fetched ants-infested firewood and thus must expect a visit from the lizard. Such anarchy must be averted by abiding by the principles that unite us.